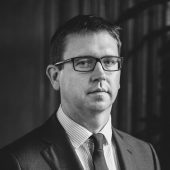 Since the acquittals in the Barclays LIBOR retrial in the summer of 2017 there has been much discussion in the business crime community about the significance of the spectacular implosion in the witness box of the SFO’s banking expert, Saul Haydon Rowe. Finally, on 13 March 2018, the Court of Appeal handed down its judgment in the appeal of Alex Pabon who had been convicted in the original Barclays LIBOR trial in which Mr Rowe had given evidence more successfully. It was always going to be extremely difficult to argue that the devastation of Mr Rowe’s credibility in the retrial made the convictions in the earlier trial unsafe on the basis that the jury should not have relied on his evidence. The vast majority of his evidence in both trials was uncontroversial, accurate and could arguably have been reduced to admissions. The more interesting question was had Mr Rowe’s shortcomings as an expert been exposed so dramatically in trial 1, would the impact on the jury have resulted in Mr Pabon’s acquittal? In other words, speculation as to the hypothetical impact on the jury had Mr Rowe been humiliated in the witness box in the first trial cannot be treated as determinative of the safety of the conviction. We can never know the impact on the jury in the Barclays retrial of Mr Rowe’s collapse. It should be remembered that the defence made significant progress with a number of key prosecution witnesses in that trial, whose evidence was far more relevant to the real issue in the case – dishonesty. The ‘jury impact’ question will inevitably be so speculative that it would be dangerous for it to play any significant role in assessing the safety of a conviction. The more appropriate test remains whether the evidence given in the later trial went to a material issue between the parties in the first trial. Only then can the reduced credibility of a witness be a relevant consideration as to the safety of an earlier conviction.